In 1949, George Orwell wrote 1984 and, with one book, armed us with the lexicon and perspective to understand and describe some of the scariest and most rapid political and social developments of the last century. Orwell’s source material was the intense ideological landscape of early twentieth century European politics, communism and fascism were pushing the power of the state to new and terrifying levels, but as the century matured it was in the so called ‘liberal democracies’ that the themes of the book were increasingly applicable. As we rapidly approach the 100 year anniversary of the Russian Revolution and the birth of the Soviet Union, the totalitarian state most often considered the model for the state in Orwell’s novel, it is increasingly clear that the ideas of thoughtcrime, newspeak and doublethink are prospering in these ‘liberal democratic’ societies and the repeated use of Orwellian terminology in modern political discourse is a testament to the ability of art to carry a meaningful discourse and to genuinely predict cultural and social changes. 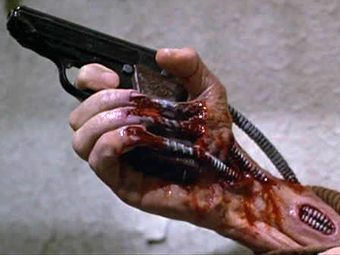 Videodrome is a different beast from Orwell’s novel. I’ve tried to find reviews of Videodrome from when it was initially released and failed, so I’m going to have to fall back on gut feeling and supposition when I say that I imagine it was treated as a slightly trashy genre film. A sci fi horror tale that made cheap use of modern technology; video tapes and television to give it verisimilitude and that special contemporary feel that so often gets an audience worked up in all the right ways. 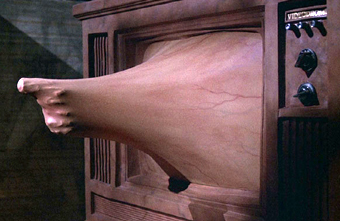 What audiences would’ve missed at the time, in the same way that perhaps first wave readers of Orwell’s book only saw it as a shocking admonishment of Soviet Communism, is the prophetic nature of Videodrome. Without giving the game away, the plot concerns the head of a television network and his journey to discover the source of a new pirate television show. 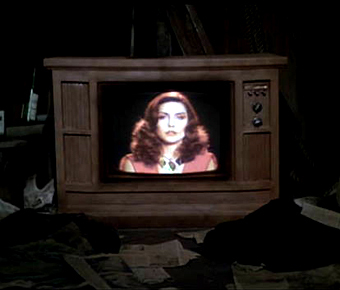 Drawn in the murky world of the videodrome, we are offered an incredibly solid theory of image and spectatorship and the future relationship between the media, the audience and technology. 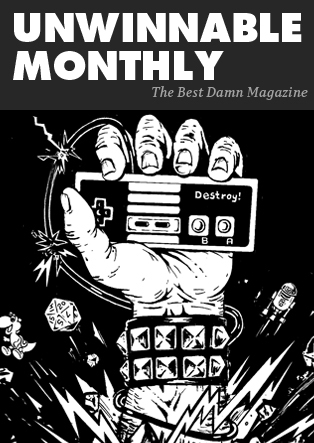 What is most striking in retrospect is that, rather than predicting the way in which our relationship with television developed, the film startlingly foreshadows recent developments on the internet, particularly in terms of video content. It may of been hard for an audience in 1983 to imagine the widespread appeal of snuff videos and, although I’m sure such things existed, I’m sure there were a lot harder to get hold of than in recent years. For me, growing up in the post-Internet age, I remember only too well the allure of sites such as orgerish.com, on which you could watch all kinds of horrid, violent and real videos. It recently struck me that there was a strange pattern to the last century – if I take, for example, my own family, I can illustrate and interesting point about the changing way violence and its representations functioned socially. First there is my great grandfather, who fought in both World Wars and, as a result, probably witnessed violence and death first hand. Then there is his son, my grandfather, who has very little desire to engage in or watch violent acts and would undoubtedly be appalled at the idea of his grandchildren watching decapitation videos online. Then there is my father, who although entirely non-violent in his personality, enjoys watching violent films and televisions shows. He is articulate enough to recognize that he has become accustomed to realistic violence in television and cinema. Then there is me, born into a world of video tapes, into a house in which most cupboards bore black plastic fruit – films and shows stolen from the airwaves and locked in boxes. By the time I was a teen, you could watch most things online and, before I was 20, I’d probably watched all kinds of violent acts caught on camera. What motivated my desire to watch these videos? Well, not a desire to commit the acts. Possibly a vague feeling that I should vaccinate myself against whats out there in the darkest corners of the world. On another level, I felt I should not shy away from the terrible acts that man can commit and, undoubtedly on some level I had a genuine need, fed by the overstimulated visual environment in which I matured, to witness what I had seen so many times as a fake in reality – death on video. I assigned no morality to spectatorship, as a viewer I felt I was relieved of any moral role; I did not commit the action, I did not create the video. This paradigm is at the middle of Videodrome’s discourse, the relationship between creation and observation and to what extent the audience is culpable in creating content. Not only does the film herald some of the discussions that are occurring more and more often in the age of the Internet – where it is possible to be an anonymous creator and observer – the film also suggest something of the way in which technology will effect social interaction. The character of Doctor Oblivion is a martyr for the Internet age, a man who proclaims that in the future, we will all have a television name; suggesting the internet avatars that we nearly all now possess, a man who’s preferred mode of discourse is “the monologue” – Twitter, anyone? Yes, that is the entire movie Videodrome, streaming on YouTube. This story originally appeared on Network Awesome and is reprinted here in a slightly edited form with their kind permission. The author, Joe Copplestone is a 23 year old ginger brummie who hasn’t yet got over that angry young man stage, he writes whatever takes his fancy for Brain Wash and his half formed poetry and stories can be found on his blog and have been featured in 3:AM Magazine and Word Riot amongst others, you can email him at jcopplestone@googlemail.com, he always needs distracting from the novel he’s “writing” oh and a short film he wrote Fifty is available to be liked on facebook now!